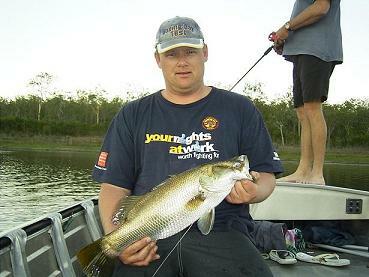 The Rig - "Rainbowrunner 2" and "Rover"
These are pics of some of the fish we have caught so far since moving to Brisbane in Jan 2004. 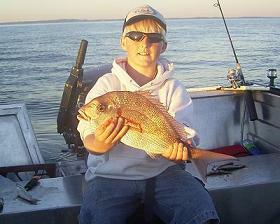 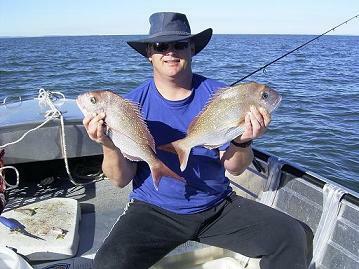 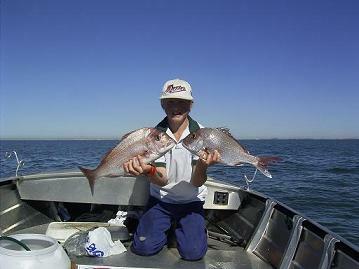 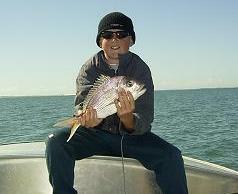 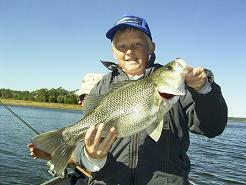 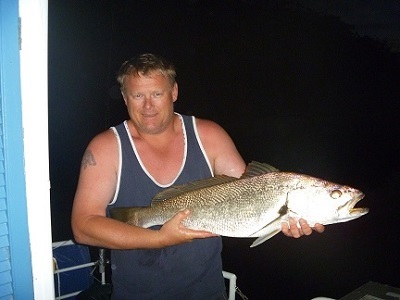 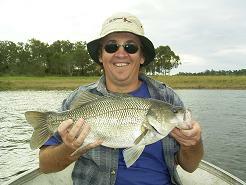 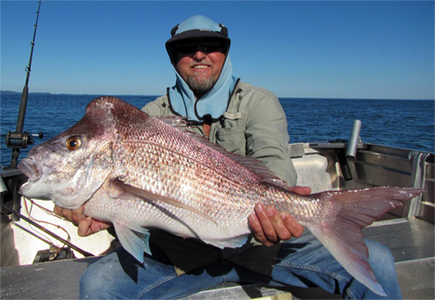 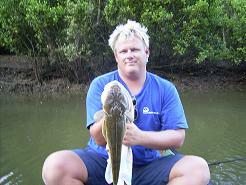 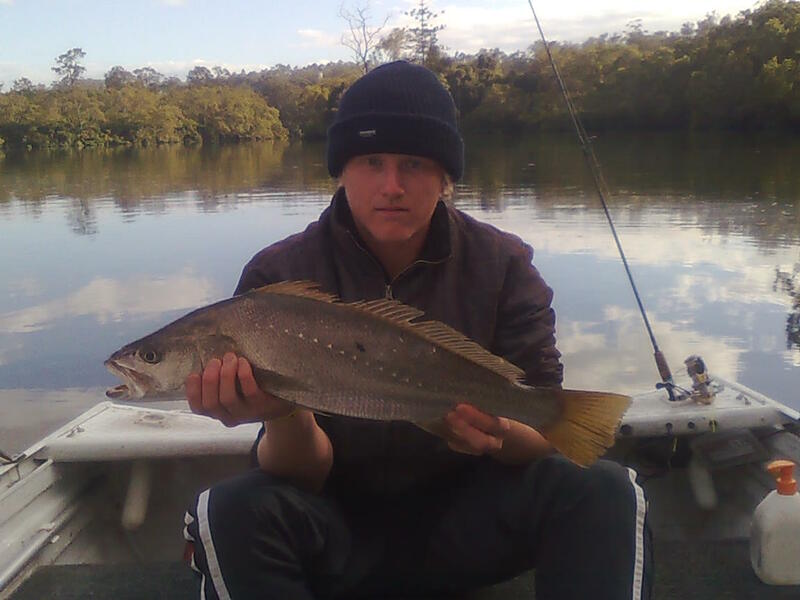 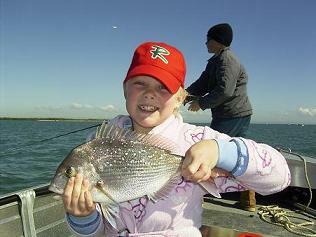 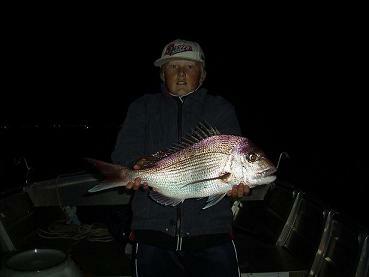 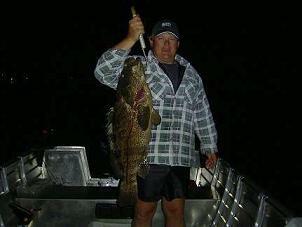 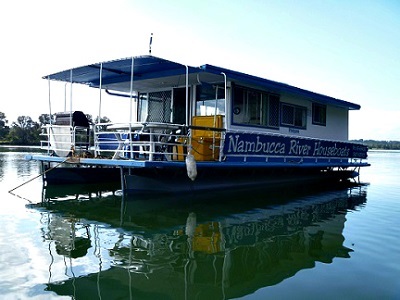 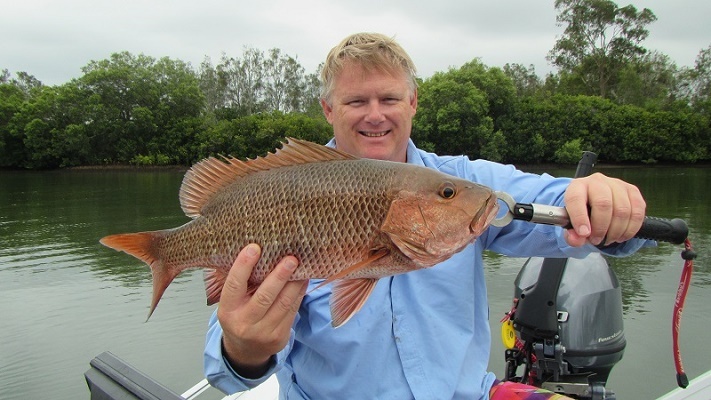 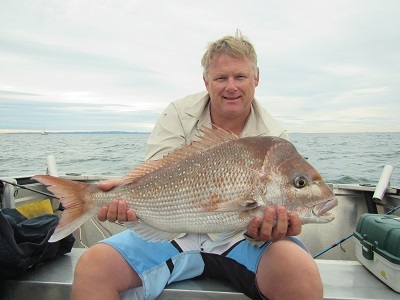 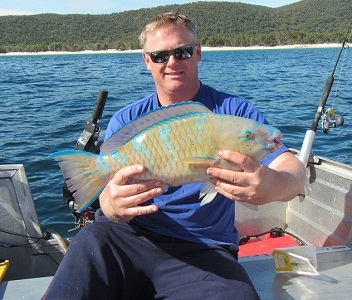 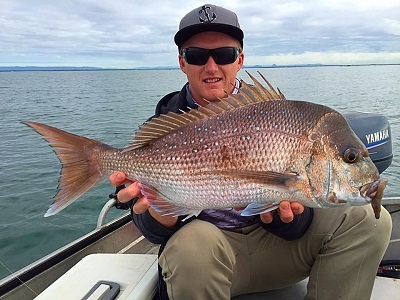 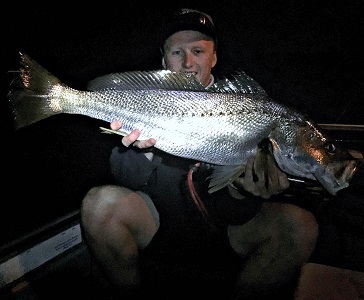 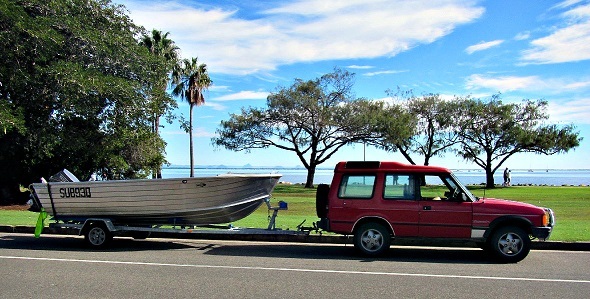 Since the new boat was purchased in May 05 we have been exploring Northern Moreton Bay with some success. 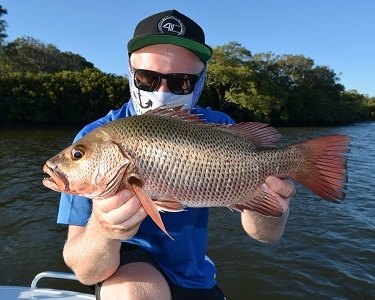 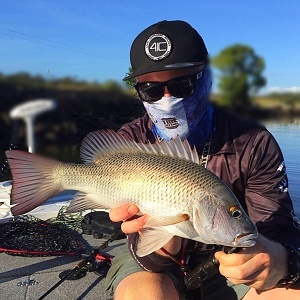 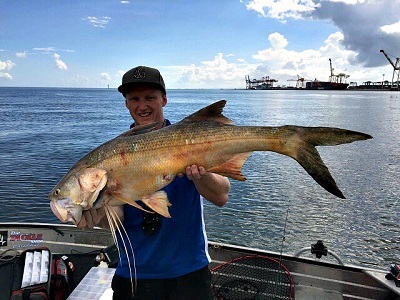 Pics here are from Northern Moreton Bay , Mud island, Redcliffe reefs, The Pine river and North Pine Dam/Lake Samsonvale, and a couple of quick trips back to Gladstone harbour and Lake Awoonga. 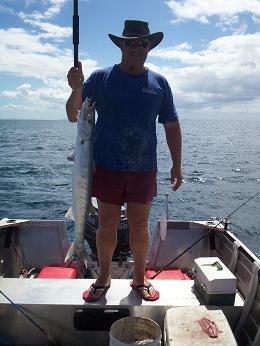 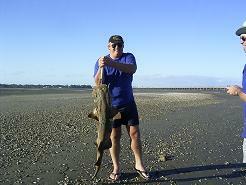 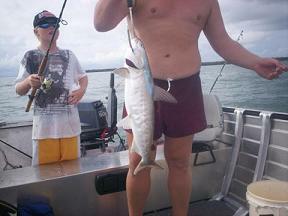 A decent Yellowtail king from Curtain Artificial reef, some Mud Island soft plastic Squire and catfish. 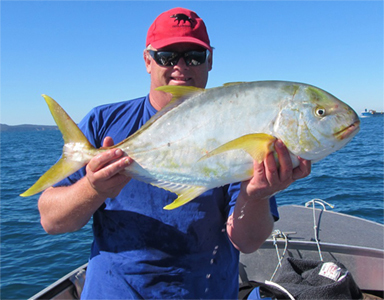 This double hookup on Yellowtail Kings and Longtail Tuna at Curtain Artificial Reef was the result after making this video on how to catch Pike for live bait. 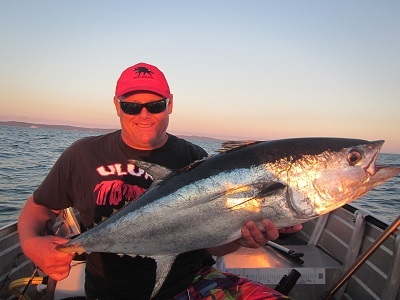 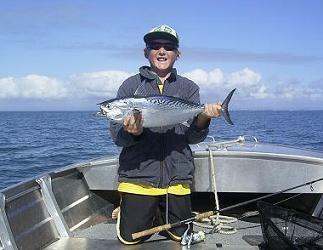 The second video is another day with my boy and his mates chasing Yellowtail Kingfish. 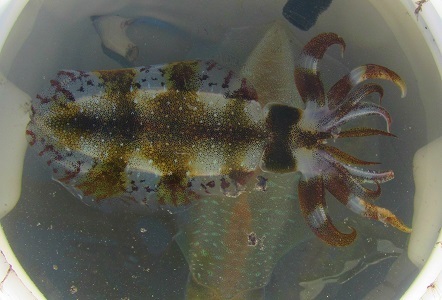 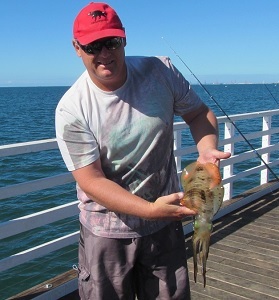 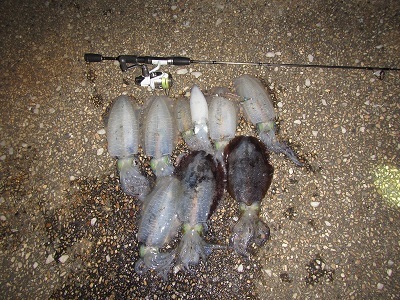 Tiger Squid taken off Woody Point Jetty. 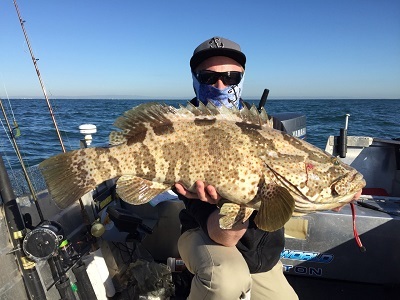 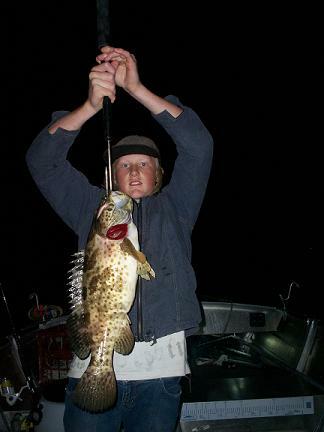 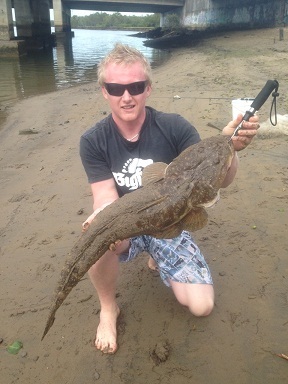 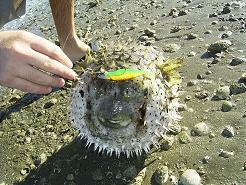 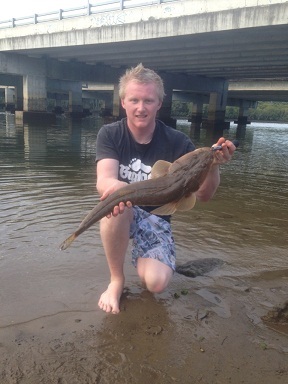 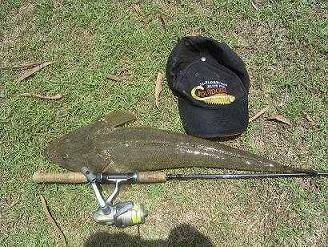 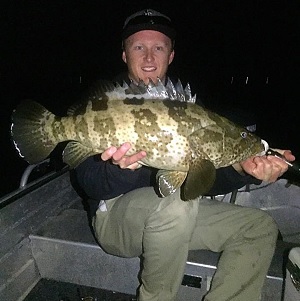 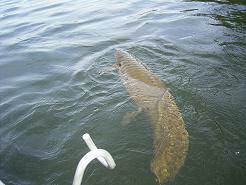 A Wobbegong shark on a live Pike, those soft plastics can catch anything, and we get some nice mudcrabs around here too. 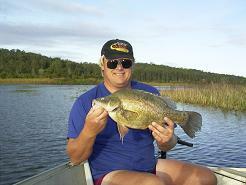 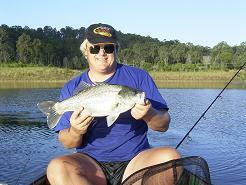 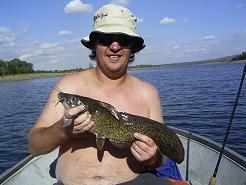 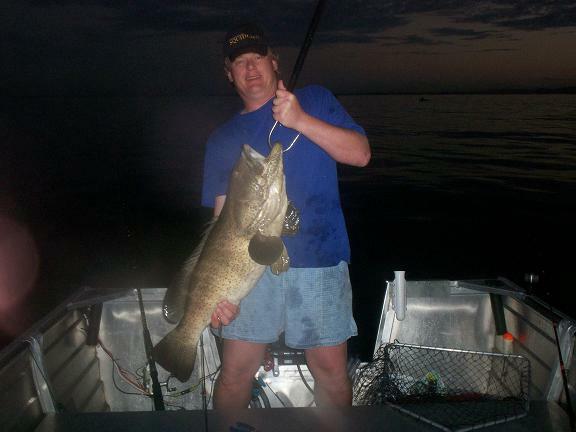 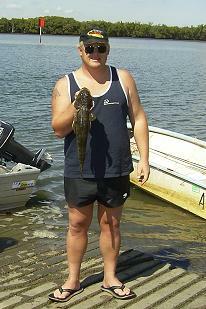 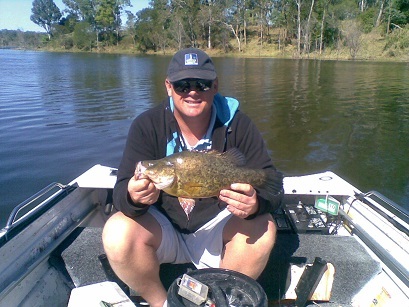 Kaimen with his best bass (for all of us) so far at 54cm, and a couple more from North Pine Dam/Lake Samsonvale. 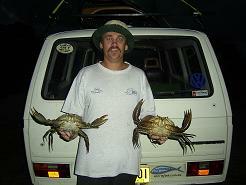 We catch quite a few Redclaw Crayfish when we fish North Pine Dam so we decided to make a how to video. 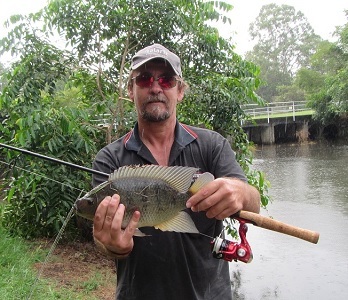 Mark with a nice Eel tail catfish, Kaimen with his first silver perch, A lungfish about a metre long caught on a live shrimp. 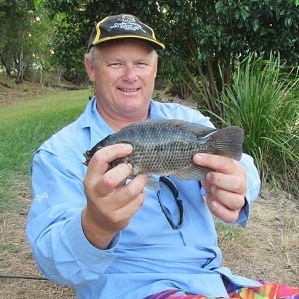 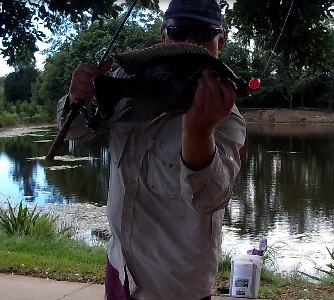 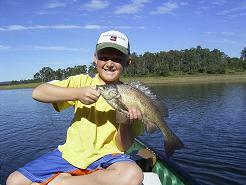 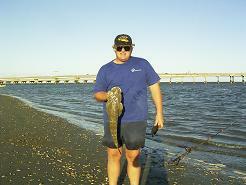 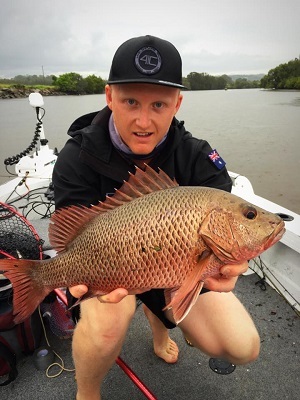 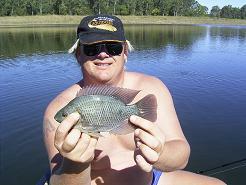 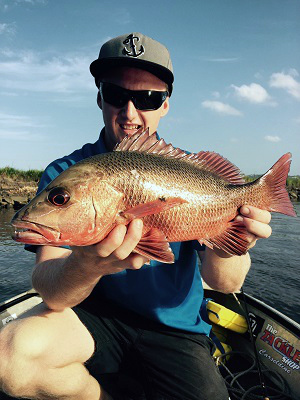 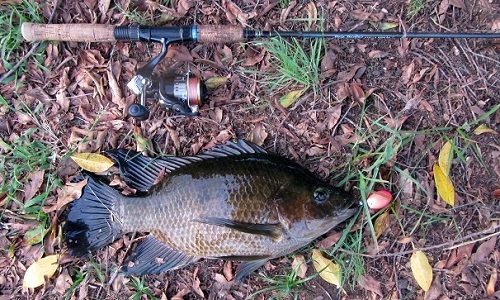 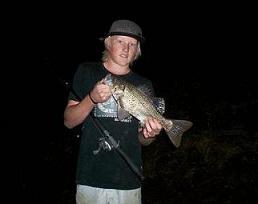 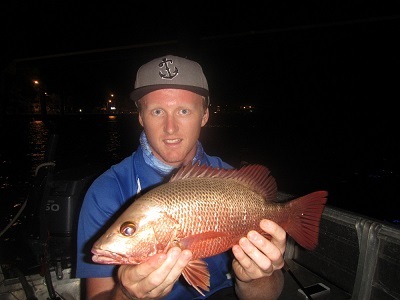 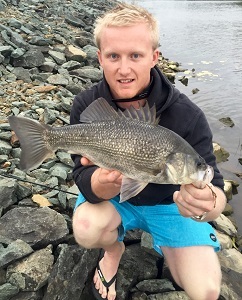 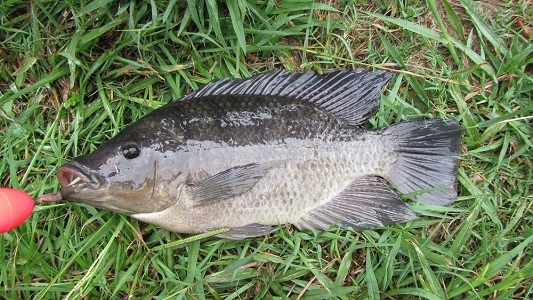 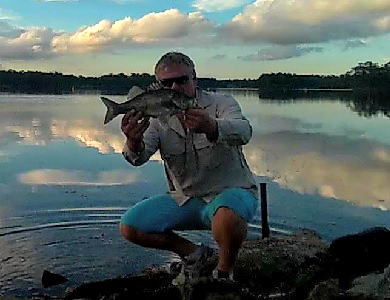 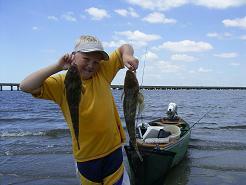 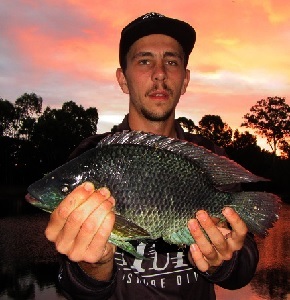 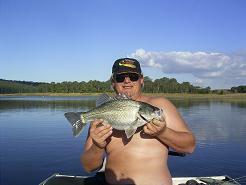 My first Yellowbelly/Golden perch, Another nice Australian bass, and a noxious species from Africa called Tilapia.